GoT Season 8 opens with a new title sequence. It shows the Iron Throne for the first time ever. The mother of all battles awaits! Game of Thrones season 8, Episode 1 is out and you can stream it in India right now on Hotstar. While we don’t want to give you any spoilers before you start watching the episode, this is something you might want to read about once you’ve seen it. Right off the bat, you will notice that the title sequence for GoT season 8 is starkly different from all of those we’ve seen in the past. Game of Thrones has always had an evolving title sequence, with new places added every season, depicting their importance in that season’s storyline. This year though, Season 8’s opening credits have received a facelift and show a redesigned map with all new locations, possibly hinting at what we can expect to see in the upcoming episodes. Instead of flying across the various locations of the continent of Westeros, the credits show smaller locations and sometimes even go into the interiors of larger locations like the Winterfell castle. 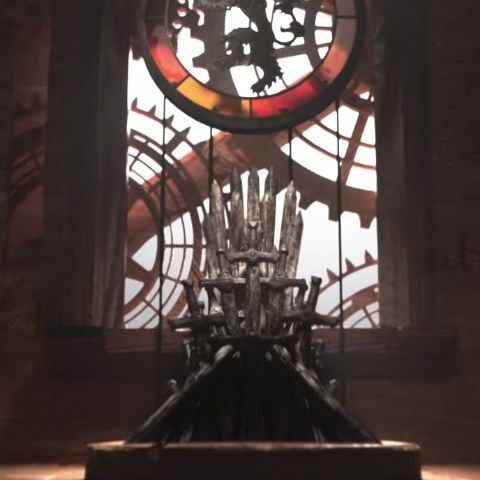 Notably, for the first time ever, the opening credits show the Iron Throne in all its glory, pointing towards the final battle for the coveted seat of power. The credits for Game of Thrones season 8 open with The Wall, which has a gaping opening created from when the Night King and White Walker dragon Viserion destroyed it in Season 7. The intro then goes on to the Last Hearth, the Northernmost castle and seat of House Umber. This is the first point where the Night King’s army would have reached after breaking through The Wall. And yes, there is definite proof of that in the first episode, but we won’t spoil it for you. After House Umber’s seat, the titles move to Winterfell Castle and the Crypts of Winterfell, which we also saw as a significant place in Season 8’s teasers. Remember the one where Sansa, Jon and Arya walk the cold corridors of the crypts? The importance of the place is once again signified in a conversation between Jon Snow and Samwell Tarly in the first episode. What will it reveal? We’ll let you find out. Next stop on the opening credits is King’s Landing and as the camera dives deep into the castle, we see the basement where skulls of dead dragons are kept. The last stop is the Iron Throne in all its glory. If you follow the entire path of the title sequence, it is one which the Night King’s army is expected to take in order to move south and grab the Iron Throne. “This season is a lot more intimate and grounded,” credits creator Kirk Shintani told Vulture. “The show has been inexorably moving towards the Iron Throne,” Wall told the publication. “Being able to go inside allowed us to actually end the title sequence at the throne,” he added. Even the astrolabe for the new title sequence has changed and it has three new bands, depicting events from previous seasons as well as images of Westeros’ history. Meanwhile, if you have finished watching Episode 1, here's a teaser for Episode 2.